When it comes to replacing a door onto your garden, most designers would opt for a set of patio doors. Doors at the rear of your property demand a high level of security, and here patio doors score well over conventional doors. Whilst conventional doors have one locking point, patio doors have several. They are also more energy efficient and act as a large window to allow more light into the house giving panoramic views of the garden through unencumbered glazing. Camberley Glass and Windows patio doors are manufactured from strong lightweight aluminium or PVCu in a variety of options, frame depths, furniture and finishes. Our doors are designed to the highest standards for reliability, security and performance. 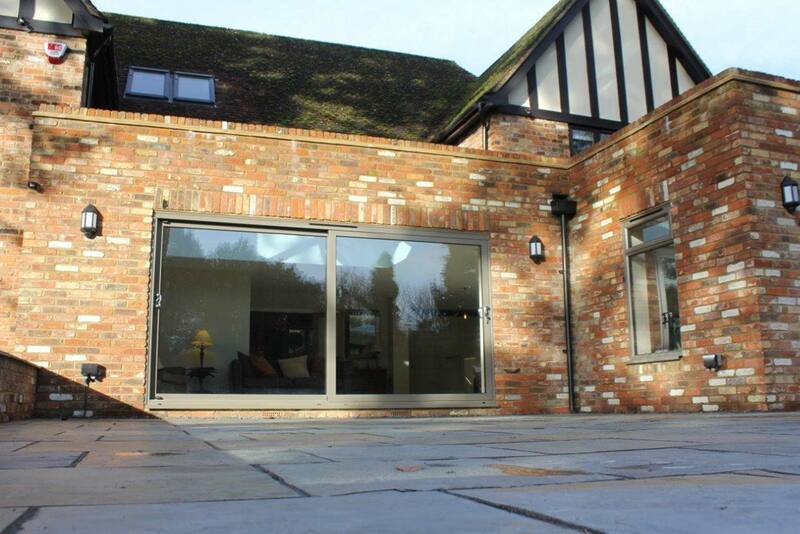 We can provide patio doors to meet whatever requirements you desire as regards style or size. All our doors come with a fully insured guarantee. Camberley Glass and Windows is a local company which prides itself on professional service, customer care and attention to detail. This is why much of our work comes from personal recommendation. We were established as a family run group of companies in 1965 and have been working in Surrey as one company for almost 50 years. We are an approved trader on the Buckinghamshire and Surrey Trading Standards Approved traders list and all our staff are fully qualified and FENSA registered. You can also read our customers’ comments on the testimonials page of our website and see our high ratings on Checkatrade. If you would like to see our range of patio doors come to our showroom at Camberley, Surrey, where you can talk to our knowledgeable advisers about your requirements. They are always willing to give friendly advice, without any pressure selling, and answer any questions you may have.